The global oil industry will face a loss of $1 trillion as producers will be forced to cancel a number of key projects if oil prices stay below $60, says Goldman Sachs. 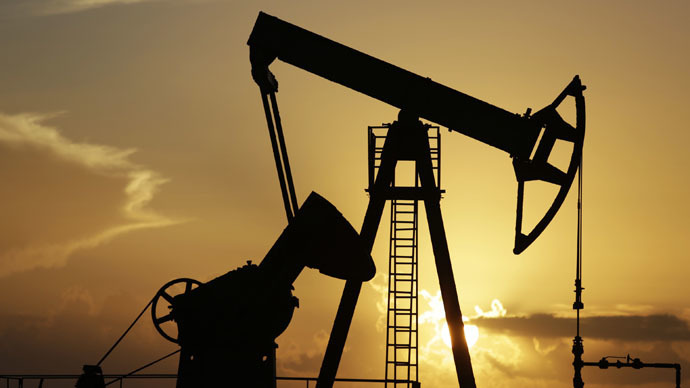 With Brent crude losing 45 percent of its price and trading at $59.9 at 12PM MSK Tuesday, a number of once ambitious projects could become unprofitable. Thus, plans on deep exploration in such challenging regions as the Gulf of Mexico or Arctic may be put at risk, says the Financial Times. The research based on a $70 oil price was carried out looking at 400 oil and gas fields around the world, many of which are still waiting for a final investment decisions. The analysis, which excludes US shale, shows the fields with the equivalent of 2.3 million barrels a day output by 2020 have now become uneconomic. That figure rises to 7.5 million barrels a day by 2025. If a drop in oil prices leads to projects being scrapped, oil output will decrease by 7.5 million barrels per day over the next decade, which is about 8 percent of today’s global demand. The bank suggests this will lead to a correction in oversupply. Goldman Sachs says oil companies will need to cut expenses by up to 30 percent to make their projects economically viable at a price of $70. The total amount of investments at risk is $930 billion. The heads of US and European oil and gas groups are revising their budgets, saying there might be billions of dollars of spending cuts in 2015 alone. It says some firms are considering reviewing capital expenditure budgets which could lead to huge assets sales and delays in high-cost projects such as oil sands exploration in Canada or projects in areas of less economic interest such as the North Sea. “This environment of project deferral and cost deflation will be extremely challenging for oil service providers, especially capital-intensive companies such as drillers, subsea construction and seismic survey groups,” said Michele della Vigna, head of European energy research at Goldman Sachs. Figures given by energy consultancy Wood Mackenzie also point to a sharp decline in spending which could result in a $250 billion cut in annual capital expenditure by 2018. “They are all going to have to reduce their budgets because projects that worked at $80 to $90 planning prices are hard to justify at current levels,” said Simon Flowers, head of the company’s corporate research.